Take Control is a unique program available in Medina County to help teen drivers gain the experience and confidence they need in difficult driving situations. New drivers have learned the rules of the road but now it is time to put them in real situations with police officers to help them learn the skills they would otherwise learn through trial and error. 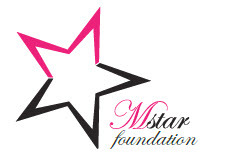 Thank you to the support of our founding sponsors, Ehrbar Angels Foundation, Mstar Foundation and Westfield Insurance, we are able to offer this program free-of-charge to participants. It may also give participants a discount on their auto insurance. Take Control is an expansion of the Medina County Juvenile Diversion program. While focusing on Medina County teens, the program is open to any teen driver who wants to learn how to be a safer and better driver. Through the generous support of our sponsors, the Take Control class is available the third Saturday of each month at Northside Christian Church in Wadsworth. You passed Drivers Ed. You passed your road test. But are you really prepared to drive yourself, your family, and your friends? What can you do to take control? Call the Montville Police Department (330) 661.0122. Be prepared to provide your e-mail address in order for waiver and release forms to be provided. Space is limited. Medina County residents are given priority; out of county participants are considered as space allows. $0 (donations accepted). Similar advanced driver training courses typically cost $250 or more, but Medina County offers training for free! Donations can be made to Montville Police Department, memo: Take Control. Rain, shine or snow. Dress appropriately for weather as part of class is conducted outside. Do not wear sandals, flip flops, or heels. Parents will not be allowed to participate in the program; however, parents are encouraged to observe the program. You may be eligible for a discount on car insurance for attending this defensive driving program! Some restrictions may apply. Check with your agent to determine if a discount is offered and if your household is eligible.